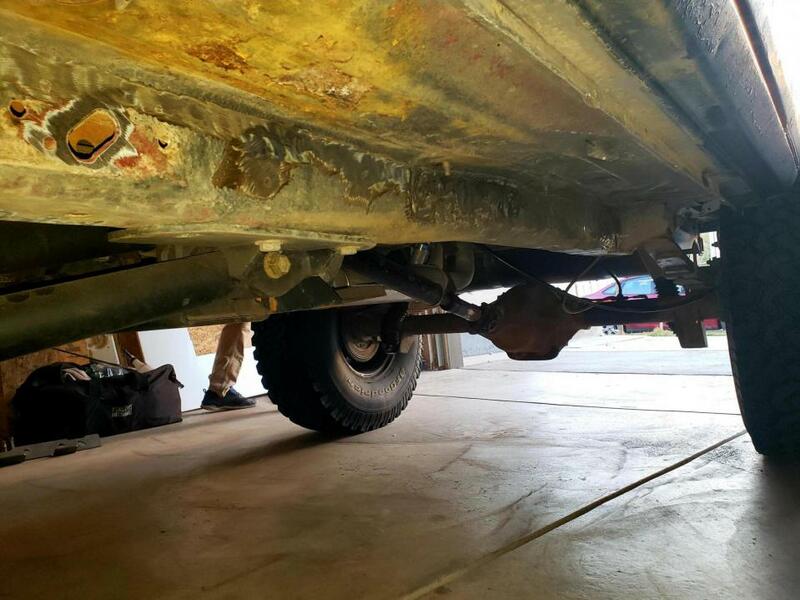 Almost anywhere you have to do body work on the Xj is crazy thin. I usually take what ever I'm fabbing (IE; quarter panel) across from another Xj and cut a 2" strip following the same bodyline to back it to help. Yeah thats a good idea actually. Definitely going to remember that for next time haha. Still got lots to do on it, Thats my buddies garage so i usually go over when I have a night off gym to go get more done to it. And thanks man! Im finally in the mindset to start making it look way nicer than before. trying to get it back. Also had the wife do my rear diff service and re-painted. She wants to learn everything about JEEPING so best way to learn is to do it! Will post more when i get back to it hopefully this weekend. Is that a stock photo of “the wife” too? That’s rad. Congrats on your near-certification! Congratulations on all fronts....bet you took that pic cause nobody would have believed you...lol....she's a keeper.....most mine will do is order or pick up parts,but she does it well. Am I the only one that noticed what's creeping outside the door? 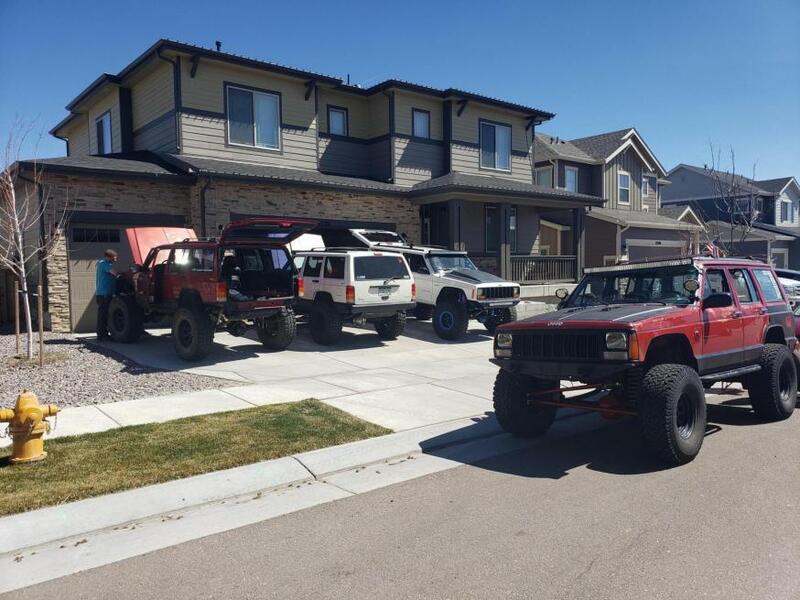 Here is a picture of last Sunday, JEEP day! Nice pic. How come the hoods are up? 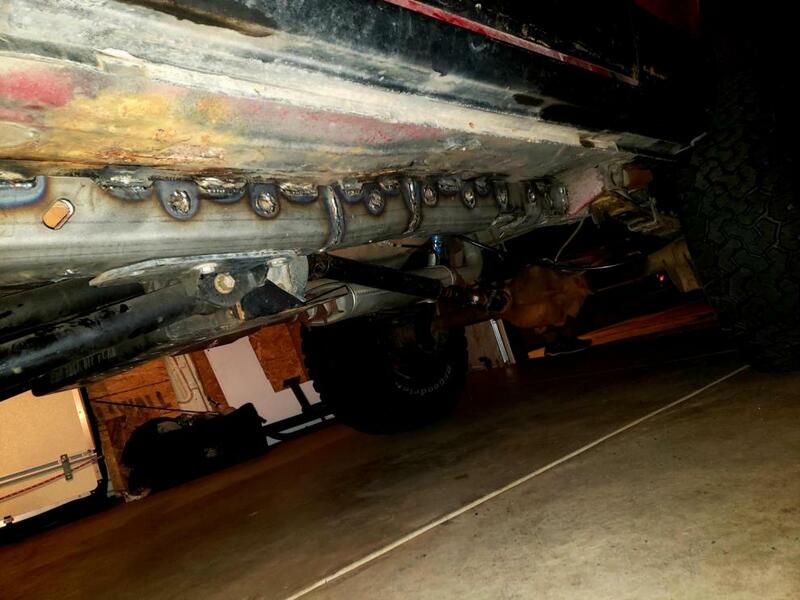 So started to do my frame stiffeners tonight, got one side done tonight. 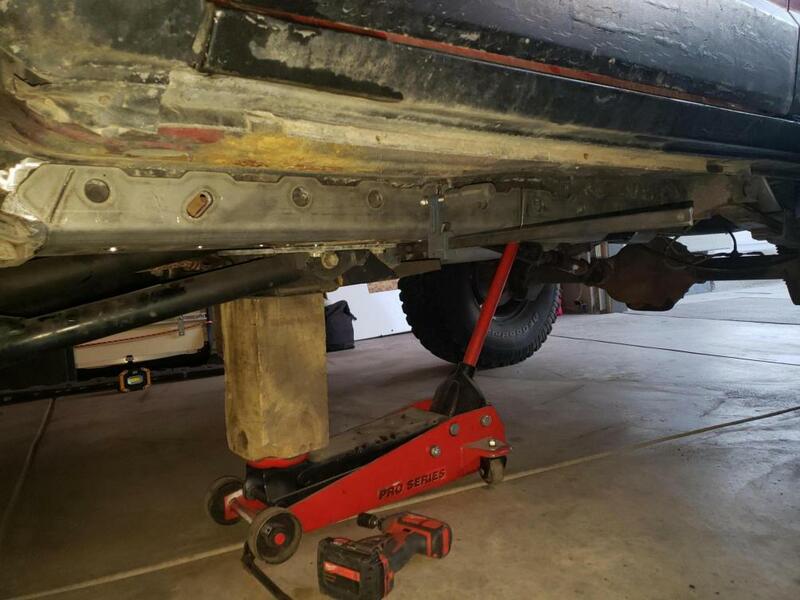 Using the JCR mid frame stiffeners. Very simple to install and jcr has all the holes that need to be in correctly positioned. Very good quality from them. Will start on the passenger side hopefully later this week. Was one of my few free nights to work on jeep. But here is the pictures. Ignore the kind of crappy pics and ignore the rust on my floor pan. 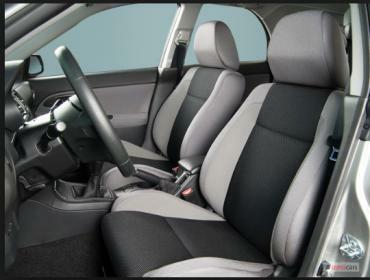 That will be the next project when I swap the WRX seats into my jeep.